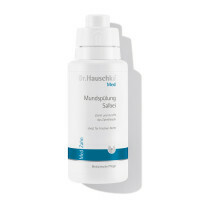 For sensitive teeth: Dr. Hauschka Med Sensitive Saltwater Toothpaste. We developed this medical dental care product for sensitive teeth and teeth with exposed, sensitive areas in cooperation with experienced dentists. Our Sensitive Saltwater Toothpaste gently removes plaque and prevents bleeding of the gums. We deliberately avoid the cooling effect of peppermint and menthol so as not to irritate your sensitive teeth. 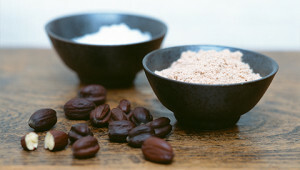 This also makes our Sensitive Saltwater Toothpaste suitable for use during homeopathic treatments. 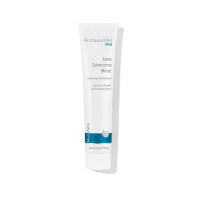 All Dr. Hauschka Med dental care products contain no added fluorides or surfactants. Witch Hazel has an astringent action and refines the complexion. 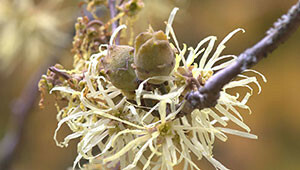 The first people to use witch hazel for its healing properties were the North American Indians.